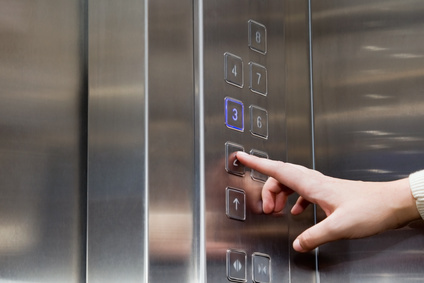 I want to explain why you need an “elevator speech” for your Social Security disability case. If you are not familiar with the term elevator speech, it comes from the world of job search. Imagine that you are in need of a job and you find yourself in an elevator with the CEO of a company that would be a perfect fit for your skills and education. You have a 45 second elevator ride to introduce yourself to the CEO, tell him (or her) who you are, and how you would be the ideal candidate for a job at his company. 45 seconds is not a lot of time – you need to cut out the fluff and convince this busy CEO why you would be a benefit to his company. You should use this same approach when you are communicating with Social Security and especially when you are testifying to a judge. They have something you want – the power to award you life changing disability benefits. So it stands to reason that you need to make the claims adjudicator or the judge’s life easy by demonstrating how you fit SSA’s definition of disability. I'm 41 yrs old and have been suffering for many years with narcolepsy and fibromyalgia. My sleep disorder actually falls between narcolepsy and idiopathic hypersomnolence. My family and myself are falling apart because of my disabilities. I've applied for disability in the past and was denied. I'm applying again and wanting to ask you how do i go about applying to prove my disability since its been denied in the past? How much weight does testimonials from family and friends carry? How much weight does a signed letter from my doctor saying, i can't work/drive its unsafe, carry? I am not surprised that you have had a difficult time with Social Security. As you probably know, Social Security defines disability in terms of your capacity to work a simple, entry-level type of job. Basically you have to prove that the symptoms of your medical condition or conditions are so intrusive, that you cannot work at any job, full time. As the person claiming disability you have to prove that you are unable to work – you do this by submitting medical records, and, even better, a functional capacity form completed by your doctor that identifies specific activity limitations. When I talk about the disability claims process, one of the most important things I can do for folks needing help during this difficult time is to make sure they know what to expect. This is especially true when it comes to the amount of time it could take from initial filing to a favorable decision. Mr. Lewis testified before the Budget Committee, and urged his colleagues on the House Ways and Means Committee to give SSA the funds needed to hire more Administrative Law Judges and disability claims staff. Last month, Social Security Commissioner Michael Astrue announced that for the first time in a decade, the agency ended its fiscal year with fewer pending disability hearings than in the previous year. It closed FY 2009 with 722,822 pending hearings – a reduction of more than 37,000 cases from its 760,813 hearings pending at the start of the fiscal year. Processing time for cases also improved over the same period, dropping from an average of 514 days in FY 2008 to 491 days in FY 2009. Although I generally write about successful cases, I think that you can also learn from cases that don’t go so well. I tried a case recently that turned out to be snakebit. Just about everything that could have gone wrong did go wrong and this is one of the few cases where a judge announced in open court that he did not find my client believeable or credible at all. Interestingly, my client does have significant medical problems and a long and solid work history of over 20 years with the same employer. He is also well educated with a college degree and he earned a very good living in the accounting field. After he stopped working, he made at least three attempts to return to work but was unable to do so because of significant pain. He has a clear diagnosis of an orthopedic problem and his treating doctor is recommending multiple joint replacements. All in all, this gentleman meets the profile of what I would consider to be a viable case. What, then, went wrong? Firstly, my client did not present himself as a person who was searching for relief. He last worked in 2005 and thereafter he had only two visits to an orthopedic surgeon. Although his doctor stated during both of these visits that surgery was needed, my client did not pursue treatment. Instead, he stayed at home and sought to control his pain with over the counter medications. I think that the judge questioned my client’s allegations of pain – there was no attempt to pursue physical therapy, there was no course of pain management, and my client was very vague about what he did during the many months that he was at home. I believe that the judge saw my client as a man who sat at home watching TV, making no effort to explore options that might improve his condition. When the question was asked why he had not had his surgery, my client responded that he was “waiting for the result of this hearing” before having surgery. This was clearly not a good answer. The implication of this answer is that my client could have had the surgery and pursued a recovery but instead, he decided to wait at home and collect Social Security. This demonstrates the wrong attitude. Although I tried to rehabilitate my client by getting him to testify about his fear of surgery and possible complications, the judge remained focused on my client’s linkage of his disability hearing to his surgical options. Social Security judges cannot hold it against a claimant for refusing to undergo invasive surgery but a judge can hold it against a claimant whose decision not to pursue surgery was motivated by a desire to collect from SSA. My client tried to raise the issue of money – that surgery was expensive, but the judge shot that down by pointing out that my client had very good insurance coverage through his wife and that his out of pocket cost for surgery was nominal. The judge did not even raise an issue that I saw in the record – namely that my client smokes 3 packs of cigarettes a day, which means that (1) he spends money on a harmful habit that could otherwise be applied to his out of pocket medical costs; (2) he lowers his chances at a successful surgical outcome as smokers frequently experience longer recovery times and less favorable results; and (3) there was no suggestion in the record that my client is trying to stop smoking. The judge’s disgust with my client was very evident, and the judge did not even go through the exercise of asking any questions of the vocational witness. I expect that the decision will be an unfavorable decision based on a finding that my client lacked credibility. What could my client have done differently? First and foremost, he should have made some good faith effort to seek relief from his symptoms. If he was not ready for surgery – and most judges understand if you hold off on major surgery that does not guarantee results – he should have sought pain management treatment or physical therapy to strengthen himself. My client could have used his condition as a diabetic and as a smoker to improve his chances. Diabetics often have trouble recovering from surgery and he could have referenced his diabetes as a reason for not wanting surgery. Had there been evidence that he was trying to stop smoking he could have referenced his difficulty in quitting despite a sincere effort as another reason to delay surgery. Finally, my client should have presented himself as a person who was applying for disability because he was not able to work despite a true desire to support himself and his family. Workers do not leave high paying jobs with pensions and benefits to sit at home and collect Social Security. He should have made it clear that Social Security was his last resort and that he would return to work immediately if his condition warrented. Alas, even cases with potential do not go as planned. I think that my client is an example of a person who very well might be unable to work, but he presented himself so unconvincingly that he will not receive benefits. Hi. Last year I had a stint and have been on medication since. My employer is eliminating my position (a technical, computer related job) in order to force me to retire. I have circulation issues in my legs and breathing issues and bruise extensively . Do I have any chance of qualifying for disability? Jonathan Ginsberg responds: Here is how I would analyze your situation. Based on what you have written, I would develop two different theories of disabiltiy. Theory one would ask whether you meet a listing. If you look at the adult listings, Listing 4.00 (Cardiovascular System) and Listing 3.00 (Respiratory System) would seem to hold the most promise. If you look at Listing 4.00, there are sublistings for Chronic Venous Insufficiency (4.11) and Peripheral Arterial Disease (4.12). I would discuss with your cardiologist whether or not your condition rises to listing level. Similarly, you could look at the sublistings for respiratory problems. My concern here is that the respiratory listings look to specific breathing tests and the resulting measurements. My experience has been that breathing issues need to be pretty severe to meet a respiratory listing. Theory two would be to argue that your functional capacity for work has been so reduced by your multiple medical problems that you would not be able to sustain competitive work as a result of these problems. Generally, when arguing for disability based on functional capacity, you implicitly acknowledge that your condition does not rise to listing level severity, but you contend that the overall impact of your conditions, side effects of medications, associated fatigue and depression – all taken as a whole – leave you unable to work. In order to win a functional capacity argument, you will need help from a treating physician who would be willing to go on record (by completing a functional capacity form) about the specific limitations arising from your condtion. Without knowing anything about the severity of your condition or what the medical records say, I would not be in a position to evaluate your case, but assuming that you have medical support and that your job reliability and attendance would be a problem, I think you would have a reasonable agrument for disability. One final thought – the Americans With Disabilities Act (the ADA) requires larger employers to make "reasonable accomodations" for individuals with disabilities. Here, you imply that your employer is not willing to take these steps. Therefore, it might be worth a call to an employment attorney to evaluate the viability of an ADA claim. Earlier this week, the New York Times published an enlightening article about the practice of Long Term Disability (LTD) carriers requiring LTD beneficiaries to apply for Social Security disability. This practice is commonplace and the reason for it is simple economics. Most employer paid LTD policies provide that (1) any SSDI benefits received will offset the LTD carrier’s policy obligations and (2) the claimant must “repay” the LTD carrier any lump sum received for past due SSDI benefits. An example will illustrate my point. I have a client “Tom” who has a severe degenerative back condition and depression. This is not a workers compensation situation because there was no specific “injury” at work – instead, Tom’s back problems arose from years of physical labor as well as a prior motorcycle accident. Tom applied for and received LTD benefits in the amount of $1,800 per month. The LTD policy obligates Tom to apply for Social Security disability. If Tom is approved, his SSDI benefit will be $1,500 per month. Under the terms of the policy, the LTD carrier will use SSDI to offset its obligation – instead of paying Tom $1,800, it will only pay him $300. In addition, the LTD carrier will demand that Tom sign over his past due benefit check as that check represents payment for months that the LTD carrier was paying benefits. As you might imagine, this scenario does not make Tom happy. He has to go through the hassle of applying for SSDI benefits, testifying at a hearing and dealing with the stress of the SSDI process only to see a big check from SSDI ($20,000+) go right out the door. Most LTD carriers will not demand repayment of my attorney’s fees – they will only ask for the portion of the past due benefit check that Tom actually receives. Several years ago I made some inquiries about the fairness of this policy and the LTD carrier’s position is that its premium structure is based on the expectation that a certain percentage of LTD beneficiaries will qualify for SSDI and therefore reduce the carrier’s exposure. Fair enough explanation although I wonder how clear this offset policy is made to employees who are pitched to sign up for LTD policies by their employers. By the way, many private LTD policies do not include this offset or SSDI repayment language – but if you are a prospective LTD purchaser you should ask the question. In any case, the New York Times piece raised the question of whether this mandatory SSDI application policy was gumming up the works for Social Security disability case processing and adding to the already lengthy delays. The Times quoted a Social Security spokesman as saying that approximately 18% of SSDI claimants acknowledged privately that they were unqualified, because they could still work and that iIt is probable that many of these claimants were required to apply” by LTD carriers. The spokesman went on to say that Social Security processes approximately 2.5 million applicants each year – 18% would equal around 450,000 applicants are wasting everyone’s time and causing delays for everyone. I would suspect – although the Times does not say this – that many of these unwilling applicants do not hire lawyers, meaning that they would be considered “unrepresented claimants” by Social Security. As any Social Security judge would tell you, unrepresented claimants take up more time and resources because their cases often require extra development and resets. SSA is apparently floating the idea of changing its rules to treat LTD referred claims differently than regular claims. There are also a number of “whistle blower” lawsuits that have been filed against LTD carriers for “dumping” unqualified applicants at Social Security’s doorstep. What are the “Grid” Rules and Where Can I Find Them? Jonathan, what are the grid rules you mentioned? (why is your case easier to win if you are over 50)? Jonathan Ginsberg responds: The “grids” are rules that can make it easier for you to be found disabled. Social Security recognizes that if you are over 50, have a limited education and have limited job skills, you will have a more difficult time re-entering the work force. Job possibilities become even harder at 55 and even more so at 60. Under the grids, you can be found disabled even if you can still perform certain types of work. By contrast, cliamants under the age of 50 generally would not be found disabled if they could do any work. The grids are a series of tables that consider these factors. You can look at the grids by clicking on the link. Example: Under grid rule 201.04, a 55 year old individual who can perform sedentary (sit down) work who is a high school graduate, with an unskilled work background and who does not have the skills to perform semi-skilled or skilled work would be found disabled under the grids. Note that the grid rules only apply if your medical condition limits your physical capacity for work. You cannot “grid out” for a mental health problem.